The debut album by the Aizuri Quartet is called Blueprinting. Narrowing a list to just 10 is always a painful game. This year, amid a multitude of albums, I found favorite musicians (Víkingur Ólafsson), newcomers (the young Aizuri Quartet) and familiar players in compelling collaborations (Brooklyn Rider and Magos Herrera), all offering fascinating performances of music from the baroque to the freshly minted. Think of the albums on this list as portals. They'll take you to Tsarist Russia, the New Mexico desert, 18th-century Spain, the austere landscapes of Iceland, Vienna at the dawn of the 20th century. Happy traveling. Boston Symphony Orchestra, Andris Nelsons, cond. Conductor Andris Nelsons and the Boston Symphony Orchestra play as if their lives depended on it in their ongoing cycle of Shostakovich symphonies. It's a fitting response to music composed by a man who, throughout the grim years of Stalin's purges, feared for his own life. The Fourth Symphony, written in the heady months before Shostakovich's first fall from Soviet grace in 1936, and shelved for 25 years, charges out of the gate with rare intensity in this live recording. I doubt you'll hear a string section play as blisteringly fast or as precise in the Presto section, which is rendered here nothing short of a symphonic panic attack. For all its angst and bluster, the Fourth ends mysteriously, with a celeste evaporating into a gray sky of low strings. The Eleventh Symphony, composed 20 years later, picks up that ethereal mood, unfolding into a series of tableau depicting events and emotions surrounding "Bloody Sunday," when Tsarist guards opened fire on the public outside the winter palace in 1905. The work has never sounded as atmospheric, as vital and as conflicted as it does here. These are performances of shattering virtuosity in luxuriously recorded sound. True artists take risks. While it may sound incongruous to pair a Mexican jazz singer with a classical string quartet, the gamble paid off spectacularly in Dreamers. One is tempted to think of Herrera as the star of the album, but that wouldn't tell the whole story. While her smoky, beguiling voice has never sounded more expressive and grand, Herrera's fellow musicians are no mere "backup band." Brooklyn Rider, along with percussionists Mathias Kunzli and Gonzalo Grau, are as much in dialogue with the singer as they are offering evocative moods and textures in an album steeped in Latin American culture. The album's title alone connotes its socially conscious threads — "Niña," with a text by Mexican poet and diplomat Octavio Paz, captures the elemental power of children. The fevered love song "Tu y Yo" is set to words by the pioneering Nicaraguan poet Rubén Darío. Other songs flash back to the nueva cancíon movement in Latin America in the 1960s, when songwriters paired socially poignant lyrics with folk-infused melodies. The best of these is the haunting "Volver a Los 17," which argues for feelings over reason, and weaves the Chilean cueca dance into its lilting refrain. Herrera, who is a spokesperson for the United Nations campaign Unite to End Violence Against Women, has given us a vocally resplendent album, one for the head and the heart. The mark of a great composer, it's been said, is an unmistakable sound. Agree or not, the music of Anna Thorvaldsdottir is detectable in just a few atmospheric notes. 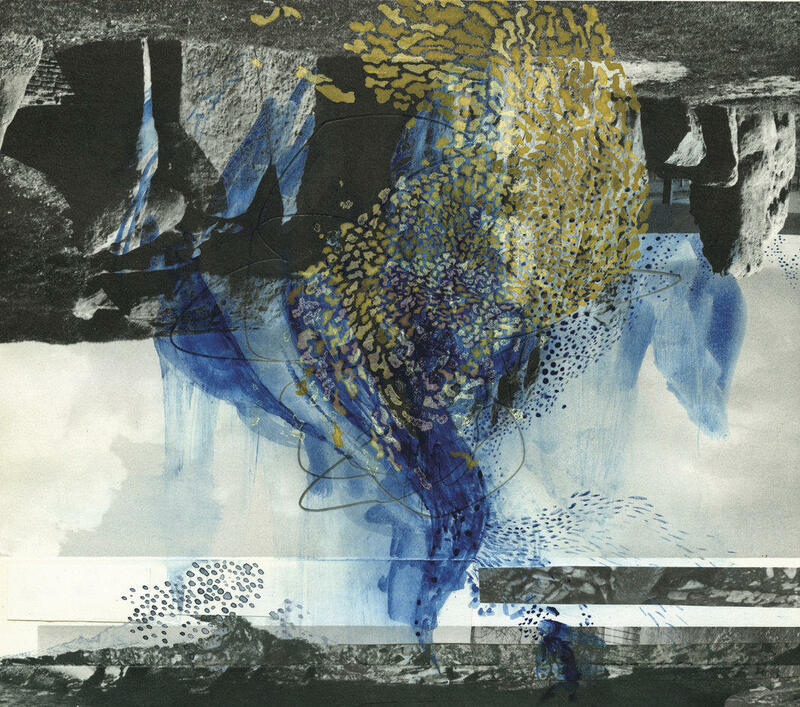 Inspired by nature, including the beautiful and austere landscapes of her native Iceland, the 41-year-old composer says she doesn't depict the natural world in her music. Instead, she's interested in structures like proportion and flow. Still, the cinematic nature of her textures and colors could brilliantly soundtrack a National Geographic documentary of her homeland, conjuring images of smoldering geysers, groaning tectonic plates and translucent volcano lakes. Aequa offers mostly recent compositions, ranging from the crepuscular Scrape, for solo piano, where low tones drone and strings are plucked, to Aequilibria, for large chamber ensemble, where wind instruments flutter, bells toll deep in the piano, strings are slurred and jolting crescendos crack through the darkness. Sequences, for a quartet of low winds, is all about breath. The music sways with mammoth respirations. A contrabassoon snores peacefully, like a sleeping giant, while the bass clarinet wheezes and a bass flute and baritone saxophone exhale wisps of melody. It's one of the most evocative pieces for winds I've heard. With these vibrant performances by the International Contemporary Ensemble, Thorvaldsdottir once again proves to be among the most distinctive voices today. Before I fell in love with the crackling performances on this album, I'd never heard of the band Forma Antiqva. Turns out, it's a flexible ensemble led by a trio of Spanish brothers: Aarón, Daniel and Pablo Zapico, who play keyboards, theorbo (a large lute) and baroque guitar, respectively. The energy, precision and rhythmic drive they inject into this Spanish baroque dance music is nothing short of intoxicating. "Canarios," the opening track by 17th century guitarist and priest Gaspar Sanz, sparkles with syncopated interplay between the brothers. The percussion, added by David Mayoral, gives the performance extra zing right through to the rock and roll ending. These limber and luminous performances by the Aizuri Quartet, in music written specifically for the group by young composers, proves that the 250-year-old string quartet formula remains vibrant and vital. Blueprinting, the band's Grammy-nominated debut album, sports a thoughtful Beethoven-inspired piece (Blueprint) by new music darling Caroline Shaw. But the pieces by four other, lesser-known composers are equally compelling. Gabriella Smith's Carrot Revolution sizzles with slurred melodies and pulsating beats, while Yevgeniy Sharlat's RIPEFG memorializes a friend by contrasting movements of frenzy and quiet introspection with the addition of a melodica. Lembit Beecher draws from his opera to create an evocative dream state of slippery string figures and his own "sound sculpture" of wine glasses and music box. If Haydn were alive to write a string quartet today, it may sound something like Paul Wiancko's LIFT, which looks back to the conventions of the genre from a postmodern perch. Violinist Christian Tetzlaff wants you to dive deep into these two concertos, and to achieve that he gets out of the way. He's not interested in stamping his own personal interpretation on the music — though his performances sound like no other. Instead, he eschews big gestures and look-at-me moments to let his formidable, clear-eyed technique tell Béla Bartók's stories. The composer was still in his 20s in 1908 when he completed his First Concerto, dedicated to a lover, a violinist named Stefi Geyer, who never played it. The piece would receive its debut in 1958, long after Bartók's death. Tetzlaff channels the composer's pent-up passions and frustrations in dramatically nuanced performances. The romantic theme in the opening movement is played with tenderness, and a remarkably sweet tone, way up at the top of the violin's register. The high-wire scalar runs that open the second movement – a testament to Geyer's virtuosity – are dispatched cleanly, and with a hint of irony. In Bartók's more popular Second Concerto, from 30 years after his first, Tetzlaff taps into the folk influences of the opening theme, while conductor Hannu Lintu and the Finnish Radio Symphony Orchestra expertly judge tricky balances between the harp, French horn and string pizzicatos. Teztlaff, portraying these concertos, is like that great character actor whose performances are so natural they rarely get the praise they deserve. On the heels of last year's incandescent Philip Glass album, Icelandic pianist Víkingur Ólafsson turns to his longtime muse with an album simply titled Johann Sebastian Bach. Like many Bach enthusiasts, Ólafsson perceives the great German composer as a kind of musical nucleus, continuously radiating inspiration. Evidence of the worship results in warm, translucent performances that are personal, poetic and precise. Ólafsson performs arrangements of Bach's music by a variety of famed pianists, including a hypersonic Choral Prelude (BWV 734) by Wilhelm Kempf, a mesmerizing Prelude (BWV 855a) by Alexander Siloti (Rachmaninoff's teacher) and, best of all, his own tender and probing transcription of "Widerstehe doch der Sünde," an aria from Cantata No. 54. Over a heartbeat pulse in the bass, Ólafsson weaves melodies of uncommon beauty. At the album's core, Ólafsson makes a convincing case for Bach's Aria variata (BWV 989), a lesser-known set of variations (compared to the Goldbergs), finding virtuosity, solace and the spirit of dance within the music. Ólafsson has been dubbed "Iceland's Glenn Gould," but that's not really fair. Here is a thoughtful pianist, thoroughly his own artist, who brilliant performs the music of his master. Barbara Hannigan, a fearless soprano who champions new music of all stripes, steps back in time a bit to the heady days of Vienna at the turn of the 20th century. It was a time when composers were pushing the borderlines of traditional romantic harmony towards modernism, finding new color and emotion along the way. Arnold Schoenberg's "Schenk mir deinen goldenen Kamm" (Give Me Your Golden Comb) offers a kind of sacred sensuality, as Jesus shares an intimate moment with Mary Magdalene. Hannigan's tone at the final cry of "Magdalene" is an object lesson in how to color the voice with emotion. She sweetens her sound in Zemlinsky's gorgeous "Empfägnis" (Conception), while in Anton Webern's compact "Am Ufer" (On the Shore), every overripe note is charged with anticipation. Songs by Alma Mahler are a welcome addition, especially "Licht in der Nacht" (Light in the Night), where Hannigan offers a beautiful, darkly colored singing line. With painter-like touches, pianist Reinbert de Leeuw excels in every searching harmony, every lonely pause between notes. BBC Symphony Orchestra, soloists, John Adams, cond. With baritone Gerald Finley as Dr. J. Robert Oppenheimer and soprano Julia Bullock as his wife, Kitty, this debut recording of John Adams' 2005 opera, Doctor Atomic, guarantees compelling listening. Adams, something of our nation's operatic documentarian, gets uncomfortably behind the scenes of the creation — and detonation — of the first atomic bomb in the New Mexico desert in July, 1945. The opera is more of a psychological thriller than a story of a nation at war, and the characters freak out over the power they are about to unleash. You never hear the bomb explode in the opera, although you certainly think about it. Instead, what Adams, with his librettist and longtime collaborator Peter Sellars, pulls off at the end is far more devastating: the lone voice of a Japanese woman, asking for water. The composer himself conducts a tightly knit performance of the opera, which contains some of his most arresting music. In her native Poland, streets are named after Grażyna Bacewicz, but the composer's rigorously constructed music has struggled for attention almost everywhere else. 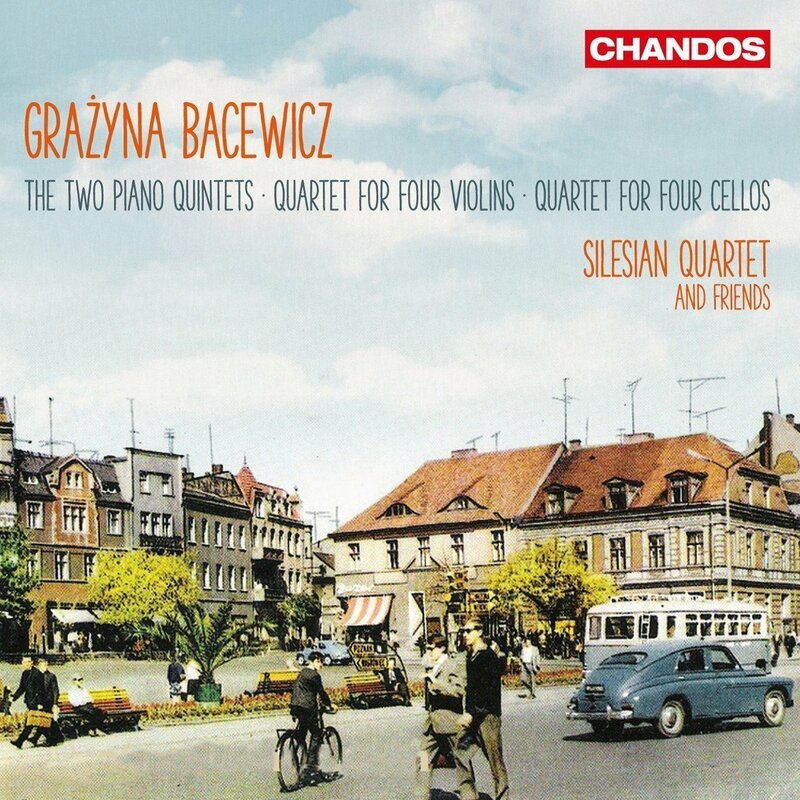 Lately, thanks to the Silesian Quartet (and friends), Bacewicz is getting the posthumous recognition she deserves, mainly through recordings like this absorbing album of chamber music composed between 1949 and 1965.